In addition to the many names, the flower also has various symbols. Since ancient times the flowers are known as mascots. Because of the calyx shape of the flower, the ancient Greeks and Romans associated the flower with fun and partying. Besides this, the flower stands for beauty, purity, and innocence. One of the more famous colors is the white Calla Lily. 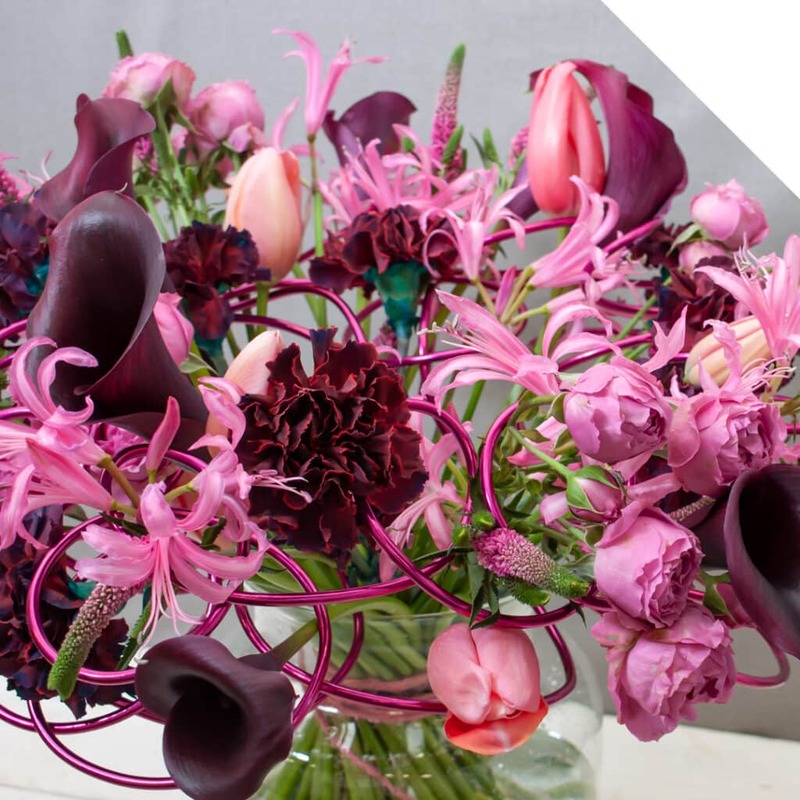 This color is widely used in funeral bouquets but is also popular in wedding bouquets. Due to its wide range of colors, the flower is well applicable throughout the year. In spring, the flowers are lighter in color (such as white, pink and light purple), in autumn the darker shades (like yellow, orange, dark purple and red) are more popular. 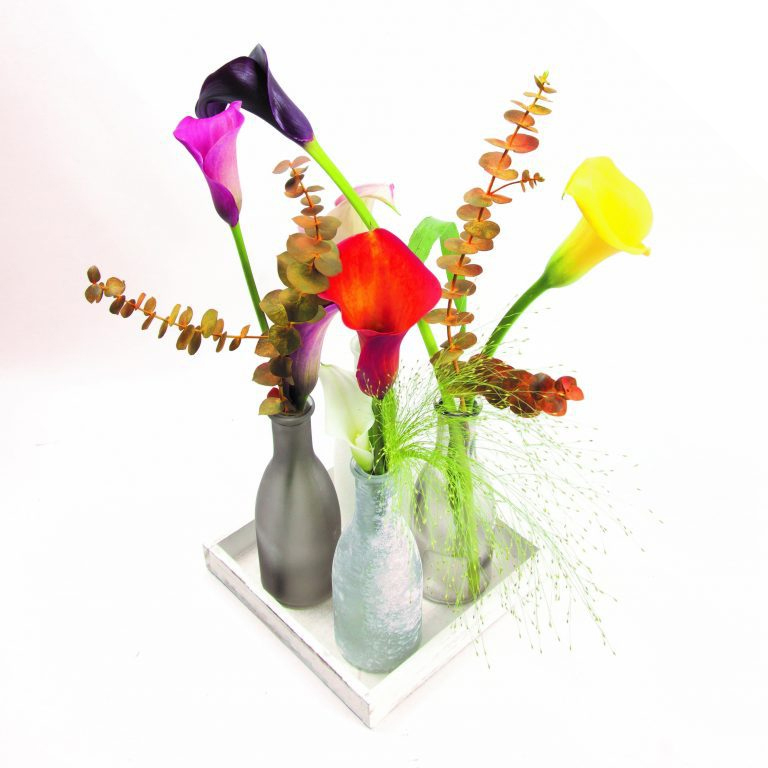 In the summer there is a wide range of colors available, partly because field-grown Calla Lilies are also available in large numbers. You can combine this flower with an endless number of other flowers. 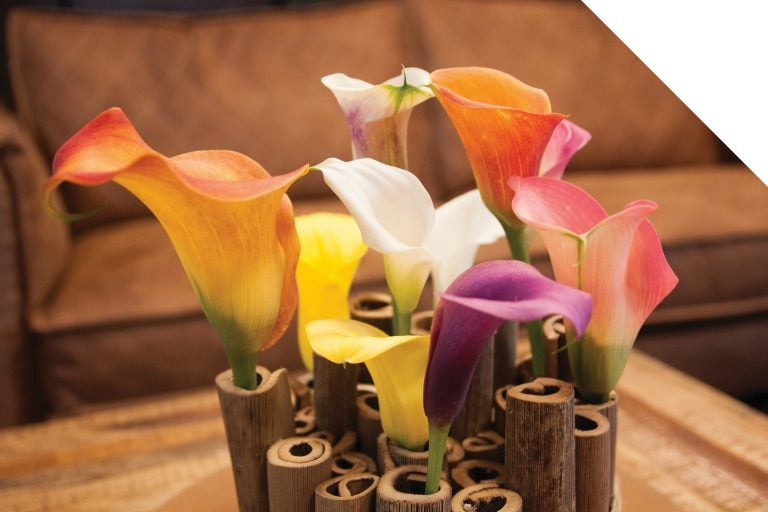 Calla Lilies add shape to a bouquet and a modern look. 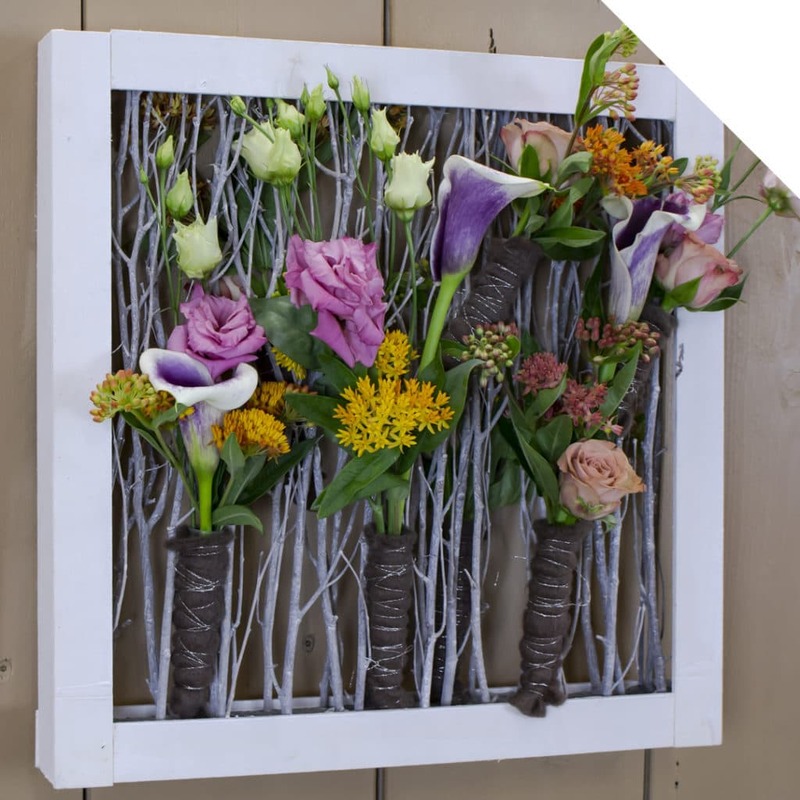 They match very well with Lisianthus, Roses, and Lilies if you are going for a luxurious look. Or with a mix of various greens like Phlebodium, Leatherleaf, and Eucalyptus. 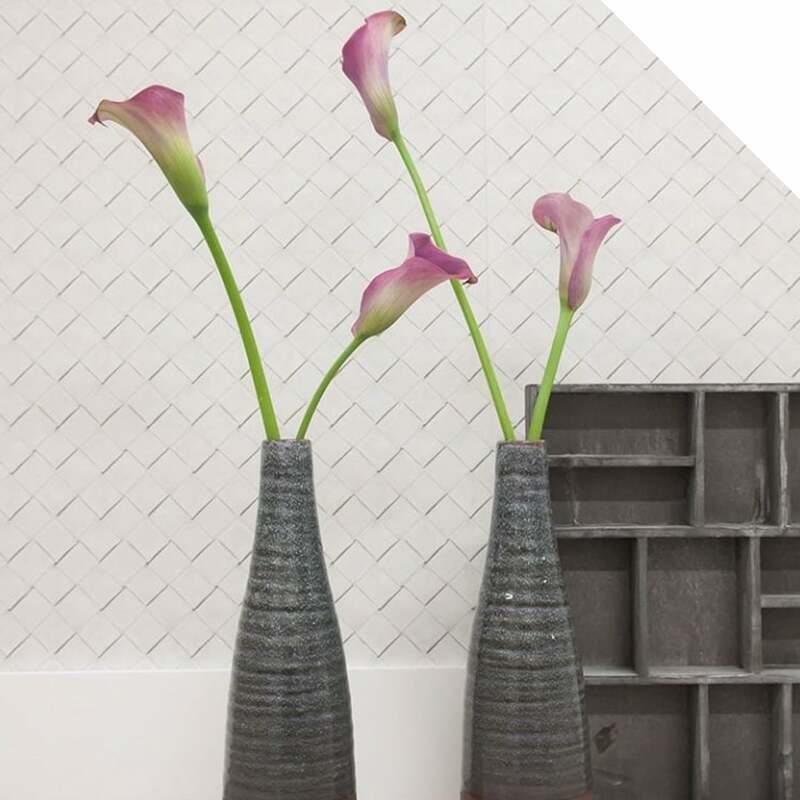 But also don’t forget the beauty of a monochrome Calla Lily bouquet (with only one variety, or a mix of types, and colors). When the flowers arrive, check the stems. They need to stand firm, and not slack or slimy. Cut the stems a little bit and hydrate them (with flower food). 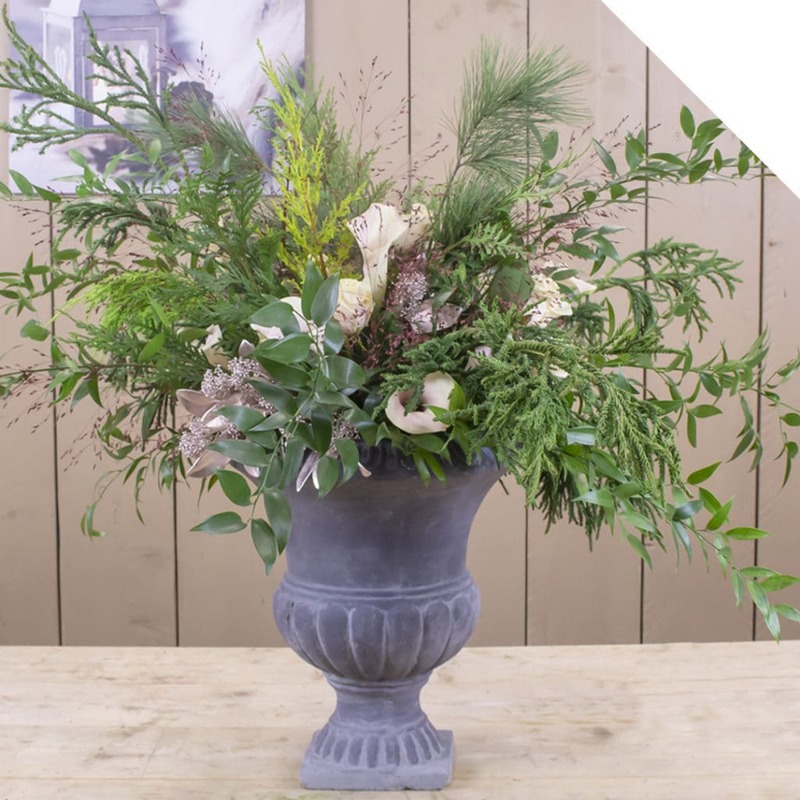 Put the flowers in a clean vase or bucket, to avoid slimy stems. Calla Lilies can be kept best in the cooler. The end of the stems can curl a bit. Photosynthesis causes this. Avoid this by using an opaque vase or bucket.